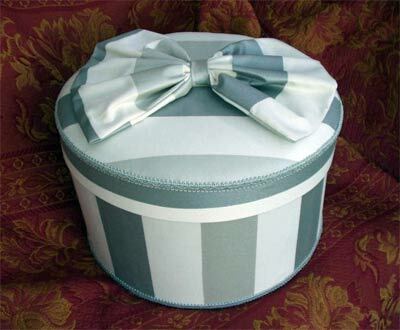 Wide stripes give this large Hat Box an elegant feel. It would go well with shades of whites, black and different shades of grey. 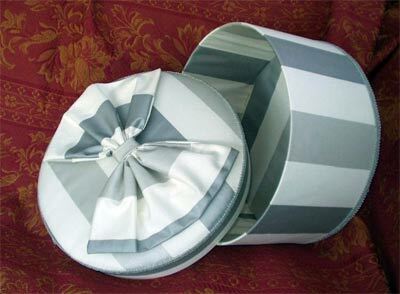 The softly padded lid is topped with a large fabric bow. Inside there is plenty of room for your treasures.